This inside waistband design provides comfort and concealability with an ultra-thin, lightweight design. Ideal for casual carry, it has soft suede construction with a thumb break design for those who prefer more security. 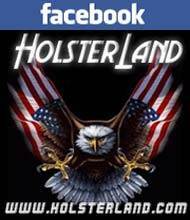 The Adjust-A-Break™ thumb break provides adjustability via hook & loop on the back of the holster allowing a custom fit for a variety of similar pistol in one holster size. 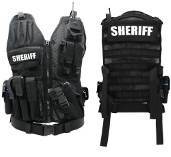 The hi-ride design can be worn strongside or cross draw and the heavy-duty 1.75 in. 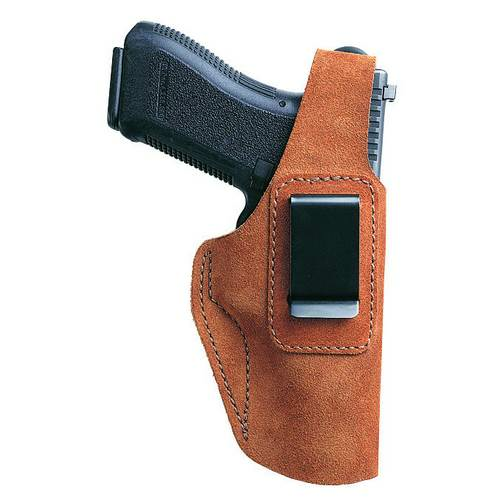 (45mm) spring steel clip keeps holster securely in place on the waist. Rust suede.